Several common problems Graber Insealators experienced as their business grew. How mobile estimating software solved those common challenges and offered unexpected perks for their team along the way. 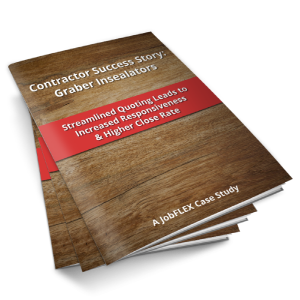 How JobFLEX helped to streamline their quoting and sales process and increase their close rates.